Laid is a black comedy about a young Australian woman whose ex lovers die one by one in different ways, leading her to believe that she is cursed. She is desperate to lift the curse to save her remaining exes and be able to be intimate with her current love interest without fear of hurting him. 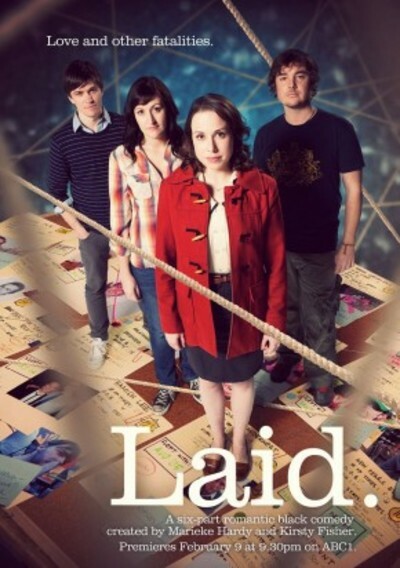 Beginning in 2011 Laid ran for two seasons and was popular for its dark, quirky humour. Are you a fan of the show? It sounds quite good, but I've never seen it before. I assume it is only airing in Australia. Ooh what's this? It's not on in the UK. It's an ABC production. Might make it out there/onto dvd at some point. At the moment it's on iView here (view on demand free online for Aussies). I saw this when it was on ABC. Worse than b-grade, I couldn't believe something so bad had even got as far as being made, let alone screened. Total crap.